API Water Conditioner instantly makes water safe for turtles, newts and aquatic frogs by removing Chlorine, Chloramine and detoxifies Heavy Metals. 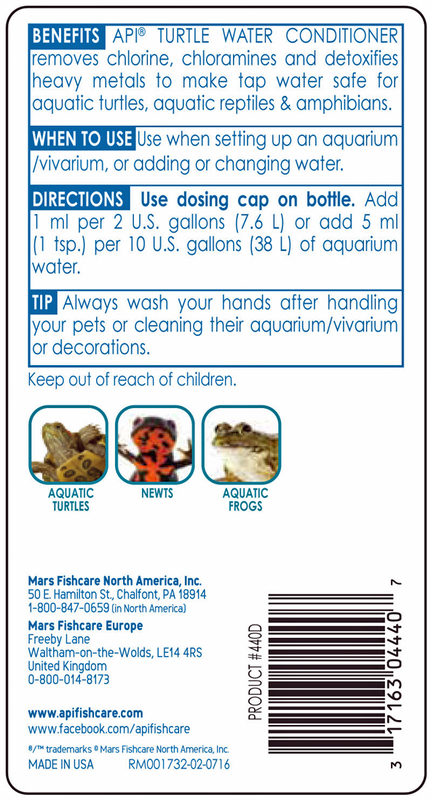 Use Turtle Water conditioner when setting up your aquarium/vivariums or adding/changing water. Highly concentrated formula treats up to 474 US gallons.